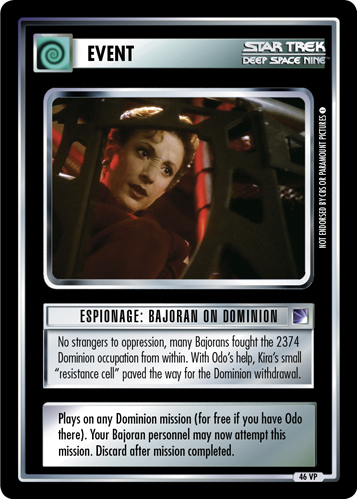 No strangers to oppression, many Bajorans fought the 2374 Dominion occupation from within. 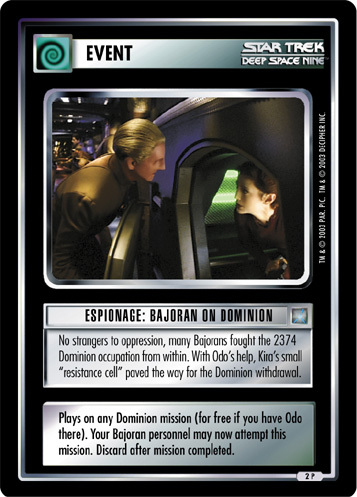 With Odo's help, Kira's small "resistance cell" paved the way for the Dominion withdrawal. Plays on any Dominion mission (for free if you have Odo there). 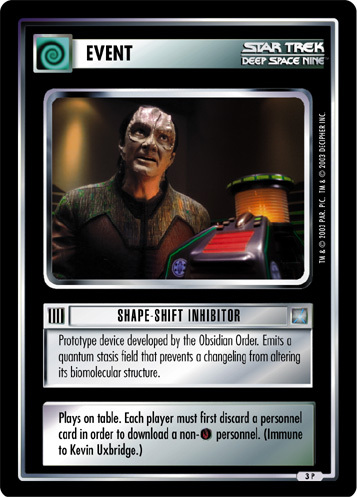 Your Bajoran personnel may now attempt this mission. 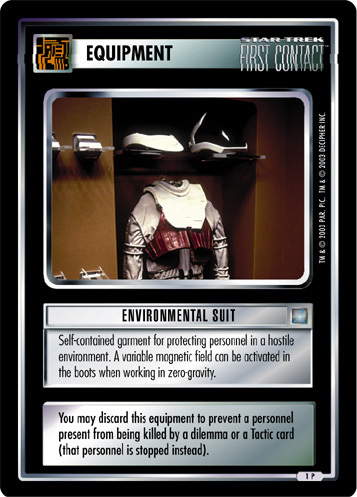 Discard after mission completed.